Medulin is a charming settlement at the southernmost region of the Istrian peninsula. Inhabited since the prehistoric times, Medulin is among 20 most desirable and the most popular destinations for summer vacation on the Adriatic. It is a true oasis of peace rich with scenic sights, but at the same time the best place to spend a dynamic and adventurous vacation with numerous tourist services and accommodation options. The rich and long history of Medulin is reflected in its architectural heritage indicating the influence of many periods and civilizations. There are numerous prehistoric architectural remnants scattered all over the city area. Perhaps the most important archaeological locality is Vizula, a nearby peninsula hosting a well preserved ancient Roman summer villa. Apart from exploring cultural sights, you can try some more dynamic activities as well. You can enjoy numerous water sports, cycling, horseback riding, fishing and wind surfing. Try panoramic recreational flights over the entire Istrian peninsula. Delic Air company organizes short excursions towards Venetia, Split or Dubrovnik and provides air taxi services. If you own a private jet, there is a small airport at your disposal. As a typical tourist settlement, Medulin has a wide range of accommodation options, from nature-oriented camps and private accommodation to luxurious four star hotel resorts. 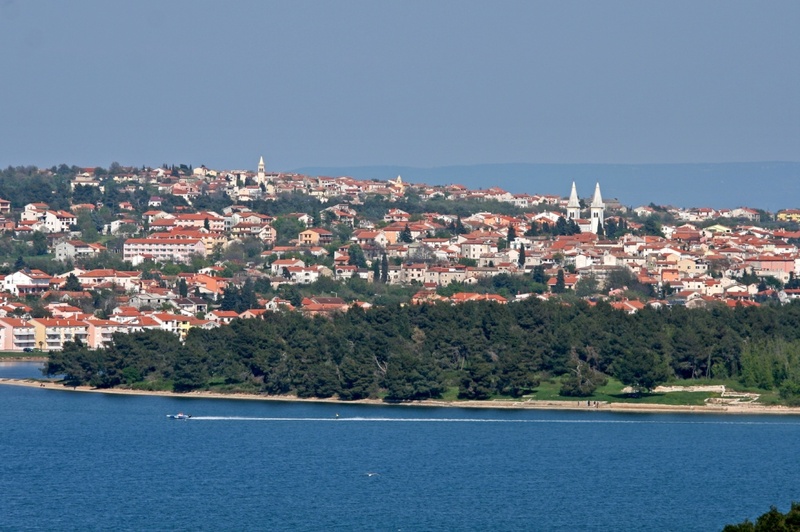 Medulin is among the most beloved camping destinations on the Adriatic. You can choose from nine camps according to your preferences. All of the camps are conveniently positioned near the sea shore and under fragrant shade of the pine forest. They are offering numerous activities and services. Camp Medulin has a beach where dogs are allowed. The beaches of Medulin Riviera are among the most beautiful bathing resorts in Istria. From adventure promising rocky cliffs to long, sand covered bays; there is a choice for everyone. The most popular beach of Medulin is Bijaca, a kilometer long, sand covered children paradise ideal for family vacation. The nature reserve Kamenjak Cape is in Medulin’s immediate proximity. The small archipelago of 11 uninhabited islets shields the Medulin shores, providing additional bathing resorts. Islands Ceja, Levan and Bodulas have the most beautiful, easily accessible but still isolated beaches. You can reach them by boat. As any other Istrian tourist resort, Medulin is proud of its gastronomic offer. Be sure to get to know the diversity of local cuisine fusing Mediterranean dishes with traditionally continental specialties. You can enjoy some of the finest wines from the local vineyards and purchase a bottle of one of the best olive oil brands in the world. The nightlife in Medulin is as lively as its tourist offer. Most of the city beaches continue to live their dynamic lives even after dark. There are numerous cocktail bars along the shore inviting you to try masterfully prepared cocktails and enjoy pleasant company. There are two bigger nightclubs, Dali and Imperijal, where you can relax to dancing rhythms of the popular music. And for a more diverse nightlife offer, Pula is just a few kilometers away. Find information about selected Hotels, apartments and rooms in Medulin to choose the perfect place for your accommodation.